Strawberries is the flavor which is loved equally by all genres and ages. So when the it comes to the taste of fresh strawberries, then U.S. is the word. 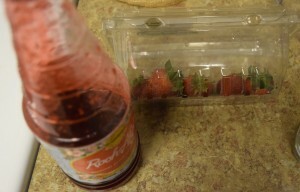 Yes you will find here all sizes of strawberries and which taste so delicious when eaten raw. 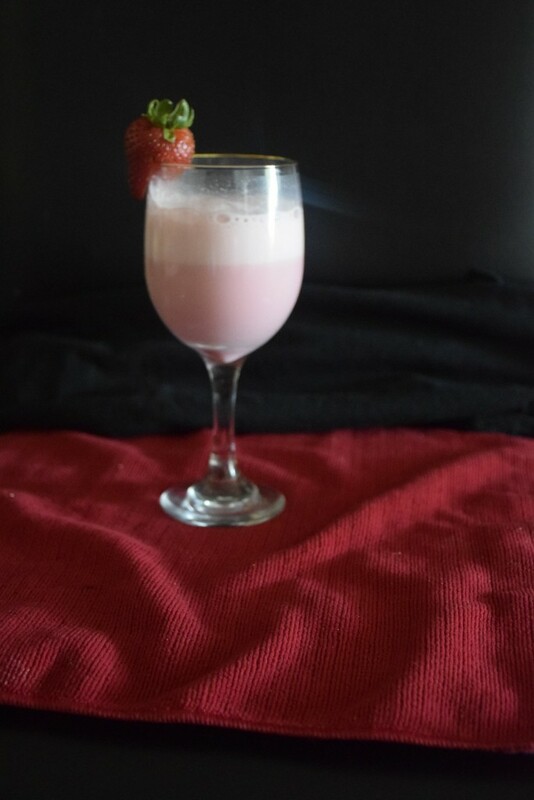 This recipe is not only simple but also cool. 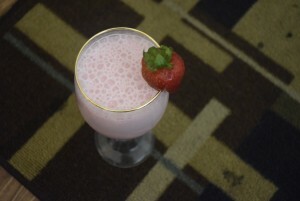 Any layman could follow it and make a yummy drink for himself in these hot summers. 1. 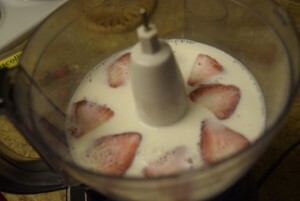 Add milk, strawberries (after washing and removing the top leaves) , sugar and rose syrup together in a blender or mixer. 2. Turn the appliance on and run it on high speed for 1 minute. Stop it and check for the pieces of strawberries,if they are still there, again blend them for a minute at low speed. 3. 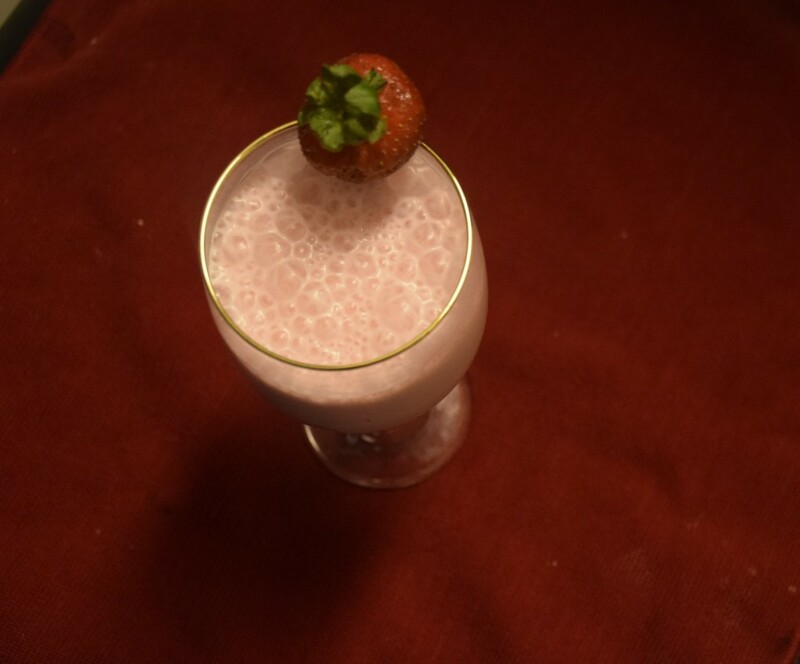 When you don’t see any particles left and the milk has froth a lot from the top ,its ready. 4. 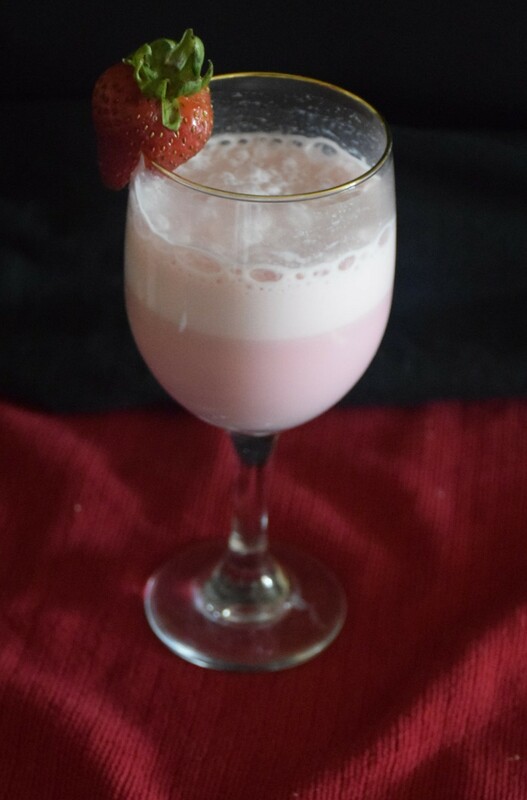 Serve it with ice cubes or as it is. Enjoy and share your experiences here !! 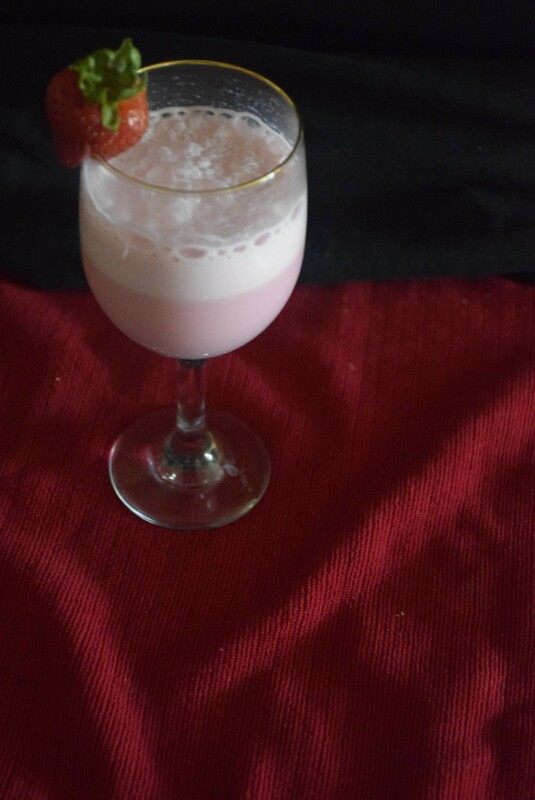 This entry was posted in Drinks, Food, Recipes and tagged fresh, ice, milk, roohafza, rose milk, rose syrup, shake, strawberry, strawberry syrup, sugar, summers.